"A paradigm is a specific frame from which we look at the world, we understand it, we interpret it, and we take part on it." 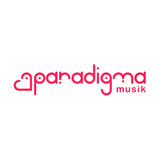 Paradigma Musik is electronic music with a set of characteristics that appear and are exchanged in the dance floor. Depth, feeling, desires of liking and talent are compatible among themselves under a paradigmatic relation. Paradigma Musik has been created with the idea of editing electronic dance music made by new values, that are not closed only in a specific style, and that can have a continuity expressing in the music they do their passion and feeling.